Readers of every age will be enchanted by this charming board book, which is distinguished by the exceptional quality of the musical sounds that bring every picture to life. I Love Music has a button on every spread, which triggers one of six captivating sounds that introduces a familiar instrument to the reader. An incredibly simple but utterly fascinating interactive book with sounds bound to enchant young readers and ignite an early love of music! 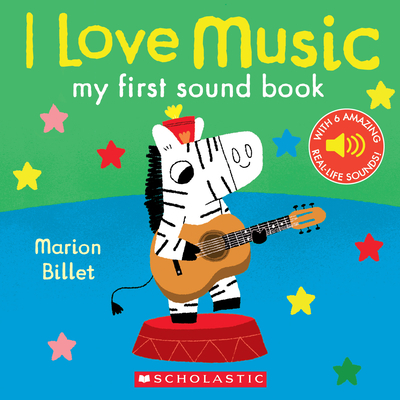 A delightful and compelling book in the My First Sound Book series that everyone in the family will enjoy reading again and again. Marion Billet is the author and illustrator of more than 80 children's books published in 11 different countries. Her adorable characters have appeared in magazines, on stationery and toys, as well as on children's furniture and clothes. For fun, Marion loves to dance and takes dance classes two or three times a week. She currently lives in Paris, France.